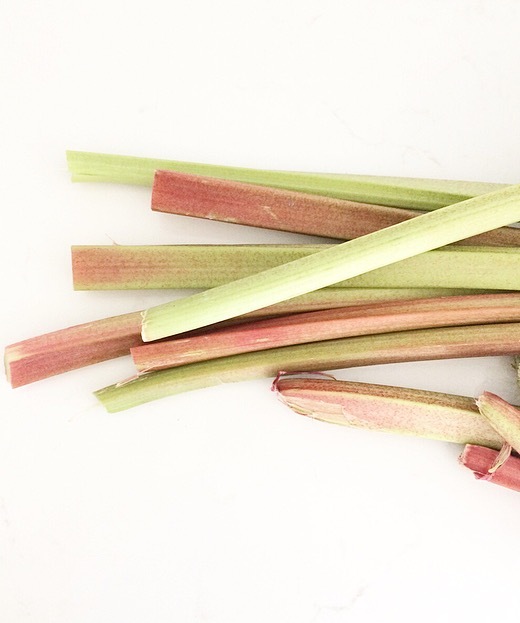 One of the vegetables that seems to be around in surplus during summer in Winnipeg is rhubarb. Since I had a bunch frozen and also just had a fresh batch given to me, I figured it was a good place to start. I placed the rhubarb, sugar and water into a pot and brought it to a boil. I then simmered the mixture for approximately 20 minutes until the sauce thickened and the rhubarb was soft. Afterwards, I poured the mixture through a strainer, making sure to squash the rhubarb with the back of a spoon to gather as much liquid as possible. I poured the liquid into a bottle and kept the soft rhubarb pieces in a jar to be used later as a topping for toast. 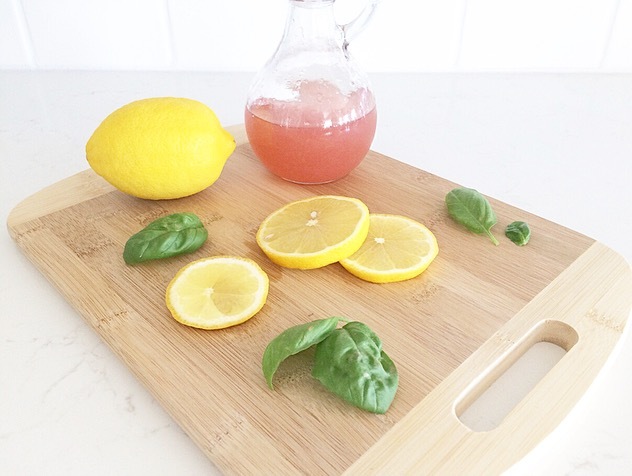 I placed 6 pieces of basil and 1 ounce of lemon juice into the bottom of a glass. I muddled the basil with the back of a spoon, piercing it to release flavour. I then added a few ice cubes to the glass and topped it up with San Pellegrino. I enjoy the carbonation of San Pellegrino, however; I also tried it with regular water and it was great too. (A sweeter version can also be done with ginger ale). 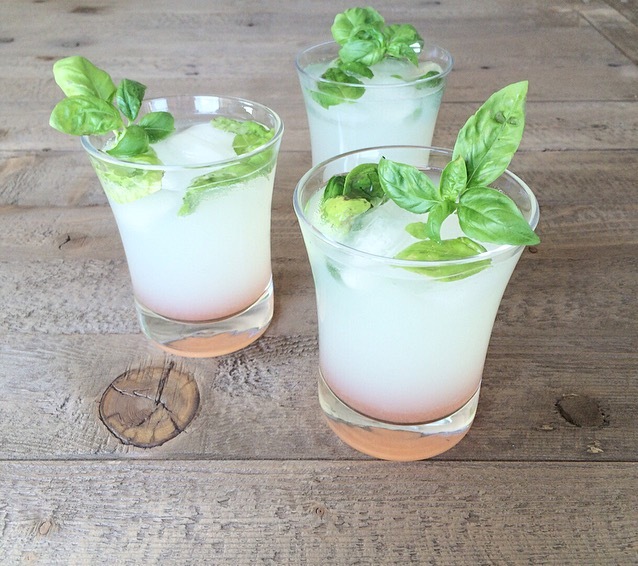 Lastly, I added the ounce and a half of rhubarb syrup and garnished it with fresh basil. The result was fantastic and I am now feeling summer drink satisfied!